One of the coolest (and biggest) things to come out of SEMA last week was the new EarthRoamer XV-HD, a gigantic, go-anywhere expedition camper built on the heavy-duty Ford F-750 4x4 platform. It looks to be one of the most capable and luxurious RVs ever built, and for $1.5 million, it better be. But what if you've got dreams of a similar vehicle, but approximately 3 percent of the budget? Allow us to introduce you to the 1994 Revcon Trailblazer. Offered up on eBay for a cool $45,000, the Revcon is an interesting intermediary between the goofy pickup-based RV conversions of the late 20th century and the new class of expedition campers that's recently grown in popularity. 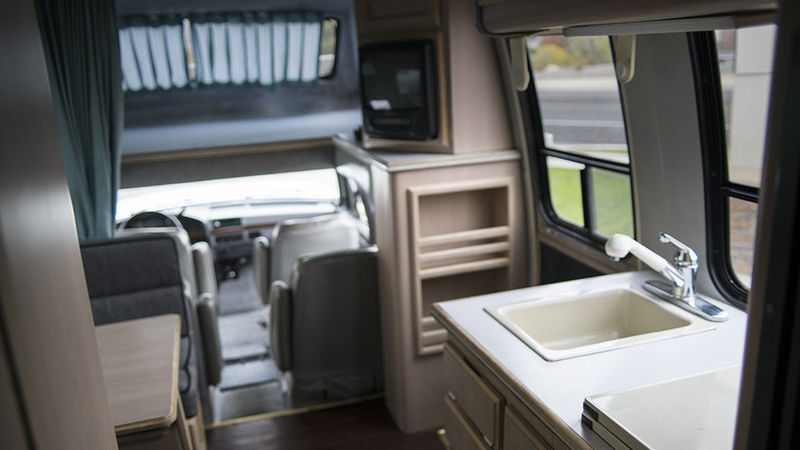 The company started out in 1971 with a fully-enclosed, front-wheel-drive coach with an aluminum body and a 455 V-8 engine out of an Oldsmobile Toronado, riding the same groovy RV wave as the iconic six-wheel GMC Motorhome sold between 1973 and 1978. While GMC gave up the recreational vehicle game in 1978 to focus on trucks, Revcon soldiered on through the Eighties, adopting the same six-wheel design and streamlined shape of its competitor before ending production in 1989. Three years later, a company by the name of Off-Road Motorcoach Inc. bought the Revcon name and came up with a new idea—converting heavy-duty Ford pickup trucks into 30-foot, Class B motorhomes with actual off-road capabilities. The Revcon All-Terrain Motorcoach was born. That painfully-dated promotional video is full of hyperbole, with phrases like "the greatest thing to happen to the automotive industry since the Model T," "your Ritz in the wilderness," and a particularly stretched comparison to the Concorde supersonic jet or the M1 Abrams tank in terms of innovation and impact. Still, the Revcon Trailblazer, as it was re-christened a few years later, is a pretty cool artifact of its time, and one that can still tackle a rough fire road with ease. 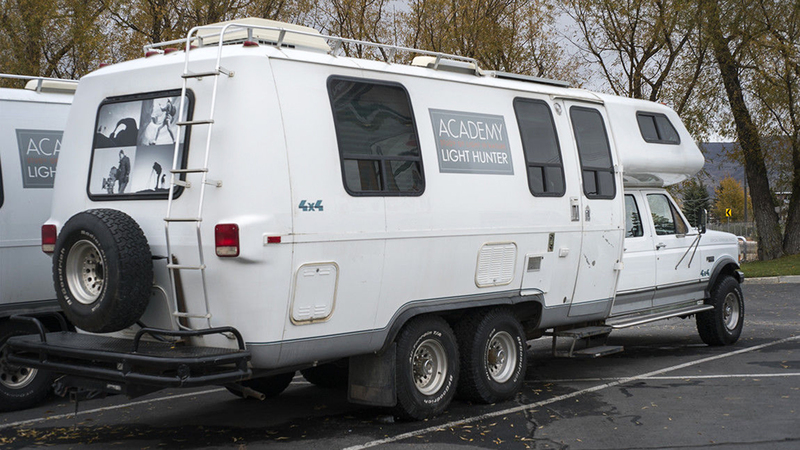 This 1994 model is built on a crew cab Ford F-350 chassis, which has been strengthened and topped with a relatively light aluminum body (with GM taillights, it should be noted). That tandem rear axle certainly looks the business, but unfortunately the Revcon Trailblazer isn't six-wheel-drive, as it retains the Ford's original four-wheel drive transfer case. The undriven back wheels, known as a tag axle, are there to help distribute weight more evenly and reduce rear overhang. It's powered by the original 7.5-liter Ford 460 V-8. Tasked with hauling around about 11,000 pounds, it returns a hilarious 6 mpg city/8 mpg highway. Why they didn't use a diesel engine, we can't answer. Overall, from the outside it looks like they just ripped off the truck bed and replaced it with the back half of a GMC Motorhome—not that that's a bad thing. But inside, the early-Nineties "Ritz in the wilderness" vibe hasn't aged nearly as well as the exterior. There's a lot of fake wood veneer and dated carpeting, an old tube TV, and the very same clear plastic "crystal" water taps and yellow sink combination that your grandmother has in her bathroom. 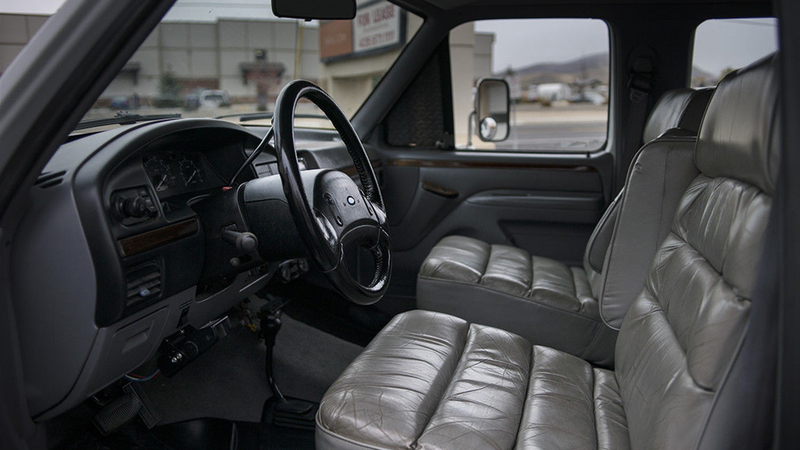 The captain's seats replacing the original benches in the F-350's cabin look pretty comfortable, though. And inside and out, the whole thing looks to be in excellent condition. With only 63,500 miles on the odometer, this Revcon Trailblazer seems to have a lot of life left in it. The ad notes that it always draws a crowd at campsites and on the road, and it definitely is one of the more unique pickup truck conversions we've seen. Rarity is usually a curse when it comes to spare parts, but with the original Ford running gear unchanged and a production run from 1992 to 2005, fixing things shouldn't be impossible. If the off-road camper and overlanding market continues to expand, well-maintained curiosities like these will definitely go up in value. But still, $45,000 is a lot of money to spend on something that's not the most functional interpretation of its form. The undriven back axle is a major bummer, as is the anemic gas engine and dated interior. Stack it up next to the latest EarthRoamer, though, and the asking price makes a little more sense. How much more? That's for you to decide. Giant, expensive, and ready to crawl over anything in its path. 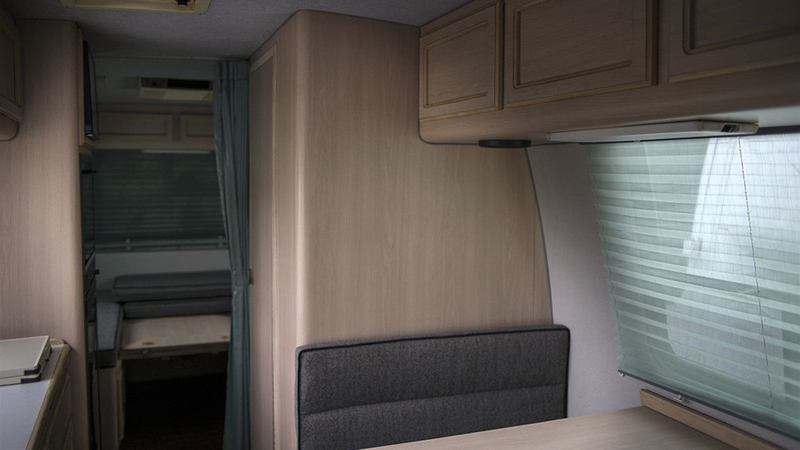 This 30,000-pound RV will happily take you where conventional roads won't.